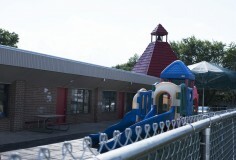 TripleNetZeroDebt.com LLC (“The Sponsor”) is providing the opportunity to invest along with them in this 4,700 square foot, free-standing single-tenant building, 100% occupied by KinderCare Learning Center located in Xenia, Ohio. This property has an average household income (2015) within a three mile radius of $60,799, and an average household income of $70,063 within five miles. The core objective of this investment is to receive a steady monthly cash flow while the property appreciates over time. Investors will hold title to this property. Investor’s distribution will commence on the first of the month, 91 days following the close of escrow. Distributions will continue monthly thereafter. KinderCare Education is the largest provider of early childhood education and care in the United States. Headquartered in Portland, OR, KinderCare is Oregon’s third-largest privately held company. It has undergone an impressive amount of growth since its founding in 1969. The idea behind KinderCare was to provide affordable, quality child care services on a large scale using economies of scale. This business model has had great success as KinderCare now serves over 200,000 children in over 1,700 locations across the United States, earning $1.45 billion in revenue in 2012. KinderCare Education is also a major employer in the United States, employing over 30,000 people. KinderCare provides a range of child care services, including Early Education Programs, Infant Daycare & Early Education, Toddler Daycare & Early Education, Preschool Education, Prekindergarten Program, Transitional Kindergarten, Kindergarten, and more. KinderCare seeks to provide an appropriate form of child care and education to fit the needs of any family requiring child care services. KinderCare has a depth and a breadth of resources that is unmatched by its competitors. Because of KinderCare’s size and reach, its employees have access to quality training. KinderCare child care centers devote more time and resources to teacher training than any other childcare provider. Twice a year they host the largest early childhood teacher training program in the country. 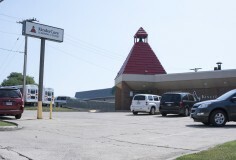 KinderCare has been operating at this location since 1979. There is a strong need for child care services in Xenia, Ohio, as 32.3% of Xenia’s over 10,000 households have children living with them. 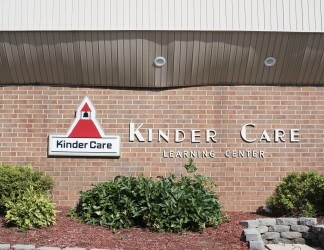 KinderCare Learning Centers, Inc. is the largest chain of child-care facilities in the United States, based upon number of centers, children served, and revenues. Following a rapid rise to prominence in the 1970s, the company began to diversify, incurring significant debt along the way that prompted its 1992 filing for bankruptcy. In April 1993, however, KinderCare emerged from bankruptcy and looked forward to renewed success, focusing on filling the specific needs of niche markets, including infant care and facilities for older children of working parents. By the end of the year, 1,165 KinderCare centers were operating in 39 states. The company traces its history to the late 1960s, when Perry Mendel, a real estate developer from Montgomery, Alabama, speculated that the increasing numbers of women entering the work force might prompt a rise in demand for preschool child care. Remarking on his inspiration, Mendel later recalled in a Management Review article that one morning as he breakfasted with a group of associates, he noticed a man “not in our group, who drove a Lincoln Continental and read The Wall Street Journal. … I asked my friends what he did for a living. They replied, ‘Nothing, but his wife has two daycare centers for children.’ That set off bells in my head.” Mendel reportedly began talking with the man and eventually purchased one of the two centers. New to the business, Mendel spent about a year researching the industry, touring child care centers across the country and reading up on state regulations. Mendel discovered that many working parents insisted on more than just babysitters. Specifically, they wanted centers that provided individual attention, nutritious foods, exercise, and education. Thus, Mendel planned to open a facility in which children would not only be safe and loved, but would also learn. Prior to the opening of the first center, Mendel spent many months drawing up a detailed plan of how the corporation should function. His plan covered such details as classroom size and required length of naps. Moreover, Mendel sought out the advice of experts; nutrition experts from Vanderbilt University planned hot-meal menus, and education specialists developed learning programs. Tight quality-control measures were planned to ensure programs would be carried out as prescribed. The company began as Kinder-Care Nursery Schools, and the first facility was opened on July 14, 1969. 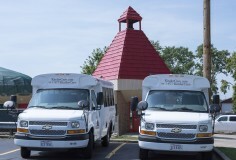 Accommodating 70 children, the center featured a distinctive exterior decorated with a Humpty-Dumpty motif and a red bell tower that would eventually be incorporated as the company’s logo. Future centers would adopt the readily identifiable exterior design, helping to create brand name recognition along the same principles developed by McDonald’s restaurants and Holiday Inn hotels. Unlike such popular chains, however, Kinder-Care discontinued the idea of franchising in 1970, when Mendel determined that most people interested in the child care business lacked the expertise or were unable to arrange the financing. Nevertheless, the success of Kinder-Care was just as Mendel had envisioned; the demand was there and the company began to flourish. 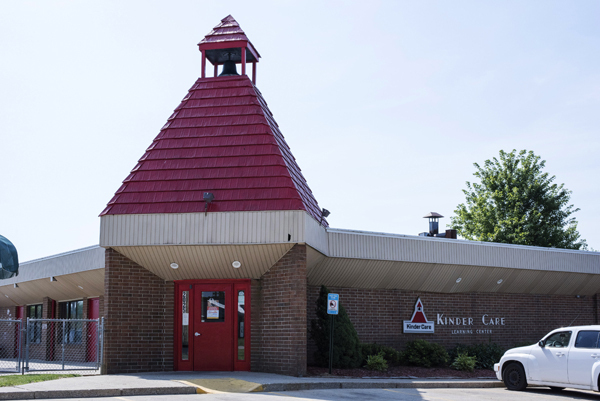 A second facility was opened within the year, and in 1970 the company changed its name to Kinder-Care Learning Centers, Inc. to better reflect its emphasis on education. By 1971, 19 centers were in operation, the first infant care was offered, and the company had extended its services to include transportation for those school-aged who needed it, via rented Volkswagen vans. Expansion of the centers continued apace, as the company went public in 1972. Soon thereafter Kinder-Care established a new corporate headquarters in Montgomery and began to invest in television advertising. To help with the mass marketing of the concept, Mendel employed Richard Grassgreen, an IRS attorney and tax expert, whose financial knowledge and experience complemented Mendel’s marketing strengths. By 1974 there were 60 centers located in 17 states and over 500 employees nationwide. Growth prompted the company to divide its operations into six geographical regions, managed by regional directors, in 1975. Continuing to expand the scope of their operations, Mendel began acquiring other child care center companies in the late 1970s. The company’s first major acquisition came in 1977, when it purchased the 15 facilities of Playcare. In 1979, as Kinder-Care celebrated its tenth anniversary, three more major acquisitions took place: Mini-Skools, Living and Learning, and American Pre-Schools. Moreover, the company opened its 300th center that year. Such activity prompted the national media to take notice of Kinder-Care; business periodicals began to feature coverage of the company’s rapid rise and founder Mendel even made an appearance on NBC’s Today Show. While increasing its national presence, the company also focused on providing valuable programs for the children entrusted to their care as well as their employees. Kinder-Care began publishing activity books and calendars for children. Moreover, the centers established health and safety coordinators, an educational assistance program for employees, and Quality Focus, a program emphasizing quality and professionalism in child care. The KinderCare Kindustry centers, a child care concept first established at Walt Disney World and later renamed KinderCare at Work, were established either near companies or within companies to cater specifically to working parents. In 1985, Kinder-Care opened its 1,000th center. Competition in the industry was comprised chiefly of La Petite Academy and Daybridge/Children’s World, but neither approached Kinder-Care’s size. In 1987, Kinder-Care was reporting annual revenues of $900 million, and analysts were remarking on the company’s rapid growth, observing that stock had soared from 12 cents a share to $20 at its high in mid-1987. Management Review magazine stated in a 1988 article that the investment community watched a $100 investment in the company’s stock in 1972 grow into $7,000 in 1987. 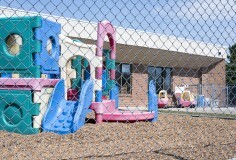 In fact, during this time, Kinder-Care was expanding at the rate of one new center every three days. This trend was soon to sour, however, as Mendel and Grassgreen began widening the scope of their plans for the company. Years before, the men had been approached by Michael Milken, an investor from the firm of Drexel Burnham Lambert, who suggested that the company begin diversifying its equity and building an investment portfolio. Toward that end, Kinder-Care acquired a wide variety of companies in the 1980s, including chains of photo studios, shoe stores, other retail operations, and two savings and loan associations. Late in 1987, Kinder-Care acquired Sylvan Learning Centers, a provider of supplemental instruction to children and adults, and the largest franchiser of its kind. The company also made a $10 million investment in Trans-Resources Inc., an Israel-based chemical and fertilizer manufacturer. In a 1989 article in Business Week, one reporter noted, “Kinder-Care Learning Centers Inc., once a successful pioneer in day care, has become one of the most confused stock investments of the decade.” By this time, Kinder-Care stockholders and the banks that had lent it money were also sharply criticizing the diversification program, complaining that they had intended to invest in a day care operation and not the repository of other interests that now comprised the company. In fact, according to a 1988 Forbes article, less than half of Kinder-Care’s sales and profits for the year were expected to come from its child care centers. Moreover, investors now found that they held stock in a new company all together: the Enstar Group Inc., which was formed as a holding company during this time for Kinder-Care and the myriad other companies now associated with it. With guidance from Drexel, Enstar had financed expansion by diluting its stock through public offerings and purchasing junk bonds. As a result, the company’s debt load increased from $10 million to about $620 million in 1988. While some of the money was used to expand the child care centers, much of it was used to make further investments, and following some initial pay-offs from the plan, the company found itself in deep financial trouble, particularly after the stock market crash in October 1987. With declining stock prices and desperate for cash, Mendel and Grassgreen set up Enstar’s Kinder-Care division as a subsidiary and sold stock in Kinder-Care at $7 per share. Although the offering raised $42 million, Enstar’s debts remained exceedingly high. Next, Mendel and Grassgreen accepted a 1989 offer from the Lodestar Group, a New York investment banking firm, for a rights offering, in which shareholders would generate new equity capital through their purchase of Kinder-Care stock from Enstar at a discount price. Xenia, Ohio, named for the Greek word meaning hospitality, is located in southwestern Ohio 21 miles from Dayton and is part of the Greater Dayton Area. It is the largest city in and the county seat of Greene County in the west/southwestern portion of Ohio. As the seat of Greene County, Xenia houses several government departments; the County Sherriff’s Department, County Courthouse, and County Jail. The 2010 U.S. Census tallied 25,719 residents in Xenia, Ohio, making it the most populated place in the United States that starts with the letter “X”. Due to its 270+ miles of paved bike trails, Xenia has dubbed itself “The Bicycle Capital of the Midwest”, a slogan written proudly on the city’s water tower. Additionally, bicycle manufacturing company Huffy was founded in nearby Dayton, Ohio. In fact, Nearby Dayton is home to many major corporations and companies such as Reynolds and Reynolds, CareSource, Cargill, Cox Enterprises, NewPage Corporation, Huffy Bicycles, LexisNexis, Kettering Health Network, Premier Health Partners, Standard Register, and Teradata. Dayton is within 500 miles of 60% of the population and manufacturing capacity of the U.S. and so is defined as one of only two major logistics centroids in the United States. Xenia has a moderate climate with four distinct seasons. Summers are typically hot and muggy while winters are typically cold and dry. 14.21% of Dayton residents hold a bachelor’s degree and 8.9% hold graduate or professional degrees. TripleNetZeroDebt.com LLC along with investors, plan to acquire a single-tenant freestanding building located at 2025 Bellbrook Ave, Xenia Ohio (the “Property”) that is 100% occupied by KinderCare Learning Centers. We intend to purchase, for all cash with no debt, and hold the Property for its Cash on Cash returns and asset appreciation. Investors are being provided the opportunity to become investors in the Property along with TripleNetZeroDebt.com. The Management Company, JDS Real Estate Inc. (Manager) will handle all aspects of the investment including vetting and acquiring the Property, completing the acquisition, day-to-day operations of the Property and ultimately selling the Property. This acquisition is intended to be a “Buy and Hold” strategy. The hold period is intended to be 7 to 10 years, however it could be shorter or longer depending on market conditions as well as the desire of the investors. Investors have the opportunity to participate as investors in the Property and earn their proportionate share of the cash flow and appreciation. Investors can expect to receive monthly distributions, with the first distribution projected on or before the 91st day following the closing of the Property. This Property represents a unique opportunity to invest in a stabilized, 100% occupied, freestanding, single-tenant, net-leased asset. The property has existing in-place cash flow and offers investors a stable monthly cash flow with the potential of asset appreciation through built-in contractual rental increases. Property: This is a 100% occupied, single-tenant, net leased, freestanding building that sits on .52 Acres. National Tenant: The Property is 100% occupied by the nation’s largest provider of child care services, headquartered in Portland, OR with over 1,700 locations. Built-In Rental Increases: The Lease is an absolute triple net lease with annual Rental Increases starting in January 2018. It is intended that the Tenant, upon the close of escrow, will extend the existing lease through December 31, 2022 showing their commitment to this location. An anticipated Tenant improvement allowance is accounted for in the proforma. Forward-Looking Statements: Investors, Members and Co-owners should not rely on any forward-looking statements made regarding this opportunity because such statements are inherently uncertain and involve risks. We use words such as “anticipated,” “projected”, “forecasted”, “estimated”, “prospective”, “believes,” “expects,” ”plans” “future” “intends,”, “should,” “can”, “could”, “might”, “potential,” “continue,” “may,” “will,” “averages” and similar expressions to identify these forward-looking statements. Illiquid Investment – Transfer Restrictions & No Public Market: The transferability of either a Tenant-in-Common interest or a membership interest in the LLC (if one is formed) are restricted both by the operating agreement for that entity and by U.S. federal and state securities laws. In general, investors will not be able to sell or transfer their interests. There is also no public market for the investment interests and none is expected to be available in the future. Persons should not invest if they require any of their investment to be liquid. This is particularly important for persons of retirement age, who should plan carefully to assure that their assets last throughout retirement. Macro Retail Risk: The retail asset class can be volatile, especially with the growth of internet-based retailers such as Amazon. 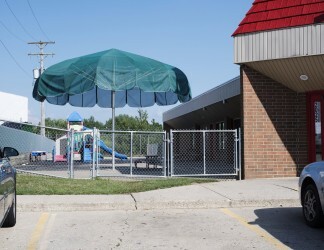 This risk is partially mitigated by the fact that this property is 100% occupied by KinderCare Learning Centers, a corporately guaranteed lease. Tenant Accounts for 100% of Rental Revenues: KinderCare, which occupies 4,700 square feet, accounts for 100% of the revenues. 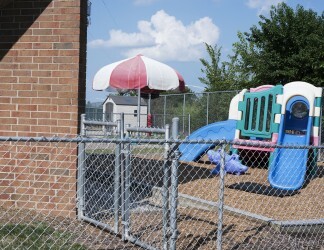 The success of the property is thus tied to the ongoing lease with KinderCare. If Tenant defaulted on its lease or otherwise stopped paying rent, this would cause all distributions to cease until such time as a new tenant was found. Since the Property is being purchased all cash, there will be no debt to service. Leasing Risk: There is a risk that the leasing team will be unable to lease the space if it becomes vacant from time to time. This Property is currently 100% occupied. The property has also been historically well occupied despite recent difficult economic conditions. Management Risk: Investors will be relying solely on the manager of JDS Real Estate Inc. for the execution of its business plan. That manager in turn may rely on other key personnel with relevant experience and knowledge, including contractors and consultants. Members will agree to indemnify the Manager in certain circumstances, which may result in a financial burden if any litigation results from the execution of the business plan. While the Manager has significant operating experience, TripleNetZeroDebt.com was formed only recently and has no significant operating history or record of performance. Principle of Manager Will Participate as an Investor: The Manager of JDS Real Estate Inc. will participate as an investor in the Property either directly or through an entity. Participation will include, but may not be limited to, the value of any excess distributable cash flow and or any appreciation of the property realized upon its sale. This could lead to a potential conflict of interest between the Manager and Investors/Members. Investors/Members must recognize and agree to waive and bear the risk of this conflict of interest. Additionally, the Manager of JDS Real Estate Inc. is an owner, investor and manager of another parcel in the same vicinity located at 1730 Woodman Dr. Dayton, OH. This additional investment demonstrates his commitment to this area and this property. Manager may now or in the future purchase and or participate in other property purchases in and around the vicinity of this property. Uncertain Distributions: The Manager, TripleNetZeroDebt.com or its officers or agents cannot offer any assurance that there will be sufficient cash available to make distributions to the Investors from either net cash from operations or proceeds from the sale of the asset. Manager, in its discretion, may retain any portion of such funds for property operations or capital improvements. Risk of Interest Charges or Dilution for Sponsor Capital Calls: The amount of capital that may be required by the Property from its Investors, Co-owners is unknown, and although it is not required that its Investors or Co-owners contribute additional capital to the Property, it may from time to time request additional funds in the form of loans or additional capital. The Manager does not intend to participate in a capital call if one is requested by the Investors or Co-owners and in such event the Manager may accept additional contributions from Investors or Co-owners or borrow the funds, or admit new Investors or Co-owners contributing new cash to the Property. Amounts that the Manager and/or the contributing Investors or Co-owners advance on behalf of the Property may be deemed to be either loans to the Property, or else as additional capital contributions, in which case the non-contributing Investors or Co-owners interest in the Property will suffer a proportionate amount of dilution. General Economic and Market Risks: While TripleNetZeroDebt.com and the Manager have conducted significant research to justify the intended rental rates and sales price relative to comparable properties in the market, their best efforts to forecast economic conditions cannot state for certain whether or not investor sentiment and the capital markets will be favorable to the property at any intended disposition date. The real estate market is affected by many factors, such as general economic conditions, the availability of financing, interest rates and other factors, including supply and demand for real estate investments, all of which are beyond the control of TripleNetZeroDebt.com and the Manager of the Property. Jason Schwetz is Founder, CEO and President of JDS Real Estate Inc., a regional commercial real estate company focused on retail real estate throughout the US. He has over 30 years of experience in acquisition, operations, leasing, development and management of retail real estate. Prior to JDS Real Estate Inc., he was head of acquisitions, dispositions and finance for a Southern California syndication firm. 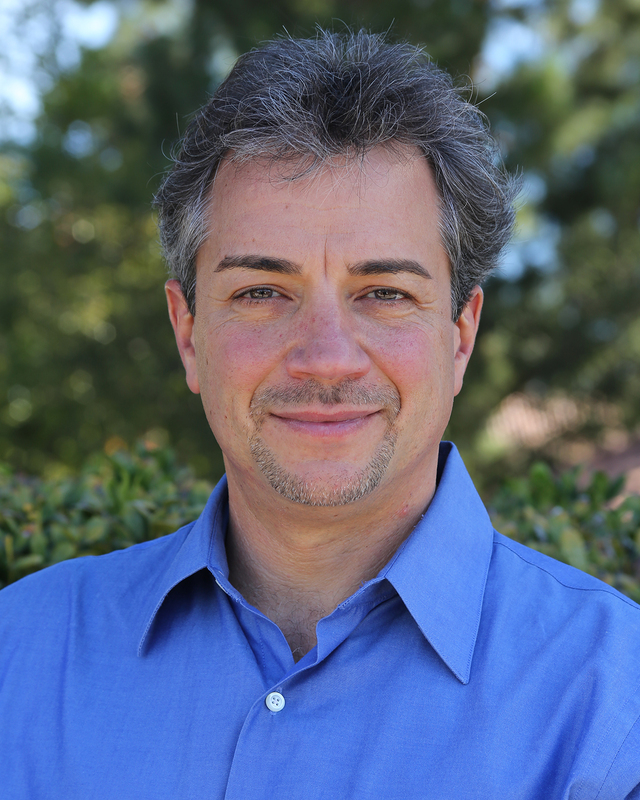 Jason Schwetz is also the Founder, CEO and President of JDS Restaurant Group Inc. For over 24 years, JDS Restaurant Group Inc. has owned and operated Senor Grandes Fresh Mexican Grill located in Woodland Hills, CA. JDS Restaurant Group, created, built and operated 4 quick-service restaurants. Three of the four restaurants were sold between 1995 and 1997. The Woodland Hills location continues to serve delicious, fresh Mexican food. Note: The financials below assume TripleNetZeroDebt.com invests the full amount of the funds needed to close this transaction.